I'm sitting here enjoying the fact that the kids got another snow day so I didn't have to step out in that icy mess, and flipping through my daughter's book....the one she was creating last night. 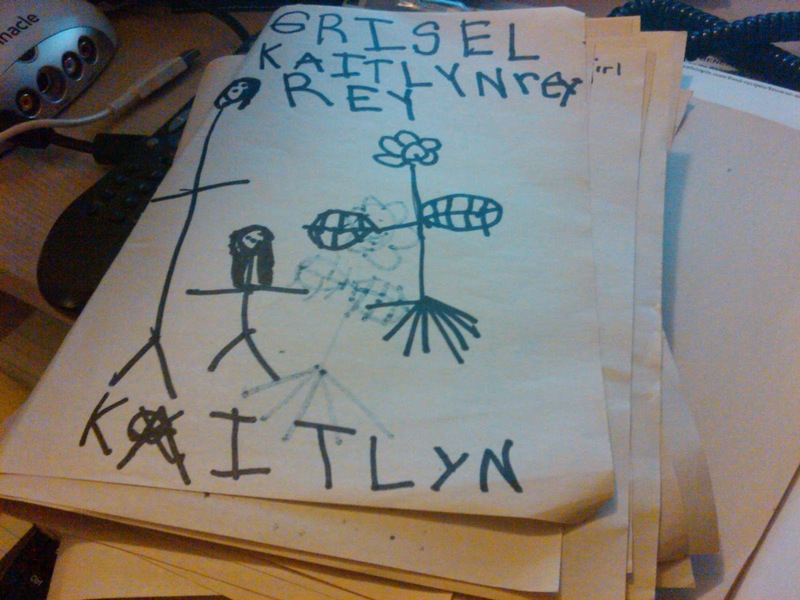 LOL, my 5 year old loves to glue sheets of paper together, then draw pictures and tell stories to go with the pictures, which I have to write out since she can't spell yet. I love it.....she really has a vivid imagination. Who knows, she just may turn out to be a great author! What a very creative little girl you have there! Pop over to my blog and follow back, when you get the chance. I'm looking forward to reading more of your posts.